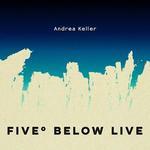 Five Below live / 6 tracks composed & arranged by Andrea Keller, performed by Five Below. Breathing in / Andrea Keller. Breathing in : [eScore] / Andrea Keller. 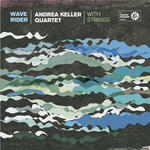 Wave rider / Andrea Keller Quartet, with strings. Originally performed by a small jazz ensemble of trumpet, tenor saxophone, piano & drums, the work was later scored to include string quartet and recorded/released on the album 'Wave Rider' by The Andrea Keller Quartet with strings. Instrumentation: Trumpet, tenor saxophone, piano & drums (or other small jazz line ups). Dec 17: The Jazzlab, Brunswick, Melbourne. Featuring Five Below (Musical group).